Magento is an Open Source eCommerce solution and is known as the best shopping cart software. It is one of the most friendly e-commerce platforms; it is a popular in fact an important choice for many small and large businesses. Both the front and back end of magento shopping carts are easy to customize and manage. In this post, I am going to share the top 5 reasons of Magento’s success. Unlike the other platforms, the idea behind the creation of Magento is to accommodate multiple online stores. Magento is a powerful platform where you can manage number of online stores and get the information for all your stores on the same admin panel. The important feature of Magento eCommerce is the guest checkout option that helps a lot to keep the visitors on website. In online businesses, the visitors have to register before they make a purchase and sometimes it diverts the traffic. The Magento CMS can have your visitors stay on your website with the help of guest checkout option. 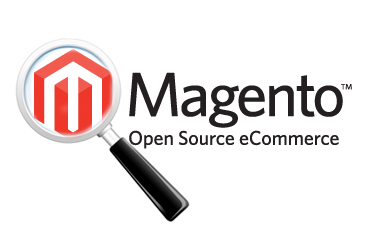 Magento comes with SEO (search engine optimization) features which makes it very easy to manage by developers. Its built-in SEO tools help boost your business in SERPs. Magento development is highly customizable; this is the feature that PHP developers like the most. There are thousands of extensions that help you display or manage your online store in many ways. The most important feature of Magento development is recorder facility, the tools helps the online stores keep last order information of clients on their accounts. So, if your clients want to place the same order again then they are just one click away. This feature decreases the burden of order rechecking and saves the time of clients as well.